Over the past decade or so, women of the world united across multiple industries and cried, “No more pink! No more pink!” Of course, unless it was a knit hat they wore to a women’s march. Our feminine fickleness aside, the industry was left with the question, “What do women want?” And apparently, that answer has shifted from pink to turquoise. Exasperated executives gave their stamp of approval, and off we all went. 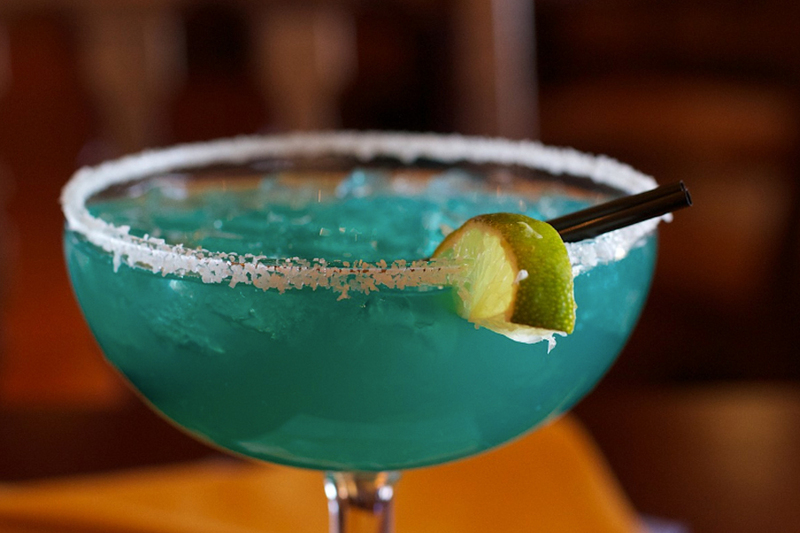 You can find turquoise everywhere. In the past week, I’ve been sent three announcements of new trail shoes in which a form of rehashed turquoise or “boysenberry” are my only lady options. Just in the past week! And sometimes, like this glorious Mizuno shoe, you find the holy grail — both! Turquoise goes far beyond shoes. It expands into every tiny niche of women’s gear you can find: gloves, jackets, ski pants, base layers, socks, hats, backpacks, even athletic thongs. You name it, it’s turquoise. No one seems to want to acknowledge the color itself by name. Brands, I see through your “dive,” your “washed peacock,” your “mallard.” They’re all turquoise. Do. Not. Play. Games. With. Me. 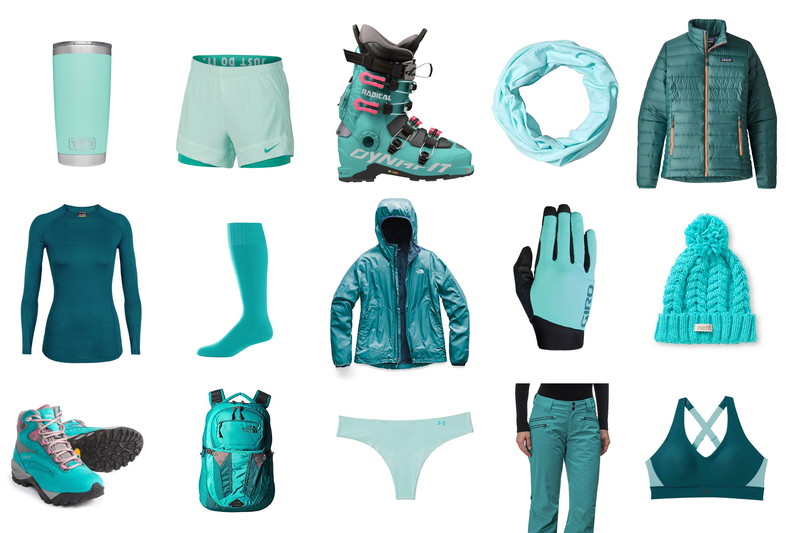 And if we’re being inclusive here, I think we all know that teal is basically turquoise. Just as boysenberry is actually pink. Although, tbh, now I just want to see a YouTube vid of someone washing a peacock. 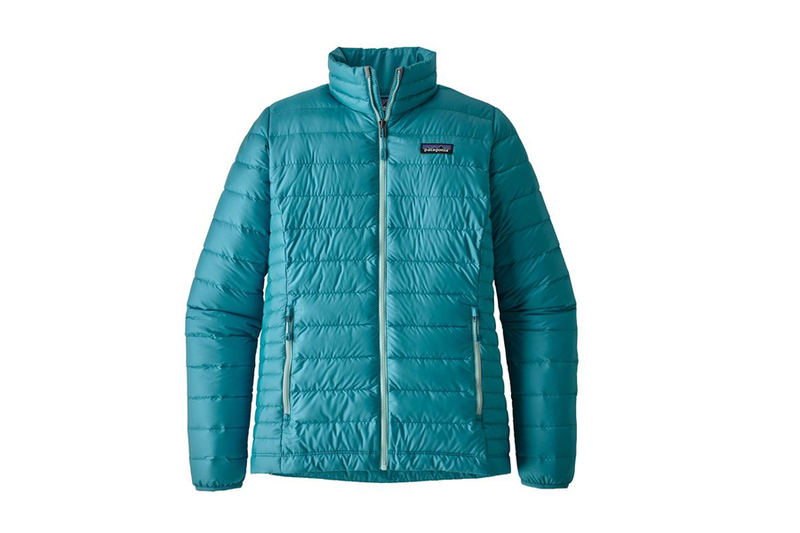 In a blind plea with a kind soul who works at Patagonia, I asked if they could please make some more neutral colors in women’s jackets. Tan, please! Green! Any normal green really. That gray color that isn’t really gray but is somehow gray, tan, and green all at once. You know the one. Bah humbug, Patagonia. Of course in fairness, this “colorway” is rampant across almost all brands. And in Patagonia’s 2019 lineup, I was more than excited to see a few more neutral options for recent jackets swimming in the sea of bright blues, shades of mixed berries, and the darkest, blackest of blacks. Bring on the Pesto Green Nano Puff! 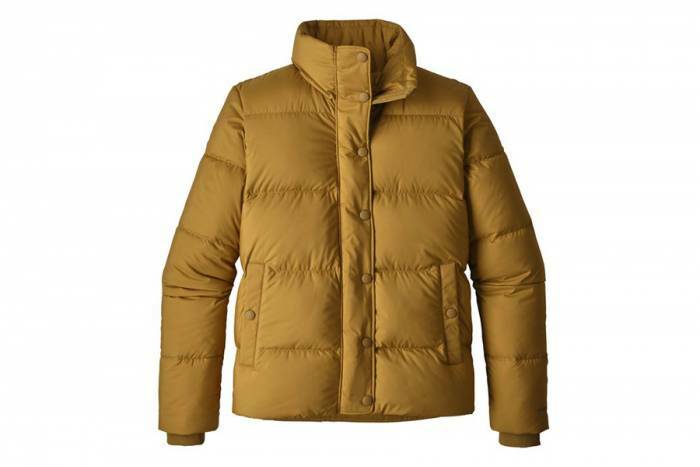 The Kastanos Brown Silent Down Jacket, OMG! Can Kastanos Brown be a thing? Just imagine! A Kastanos Brown Micro Puff Hoody! My dearest Yvon, it’s the coat of my dreams! But alas, it’s not likely to be. My chagrin has endless bounds. Listen, I’m practically in my mid-30s. I’m part of that demographic of women that make up 70-80 percent of consumer spending. I can afford a $300 jacket. And for the love of St. Pete, I want a jacket that I can wear to dinner, on a long backcountry hike, and on the slopes without looking like a kitschy tropical drink I might have ordered at Cabo Wabo at MTV Spring Break 2003. And turquoise, I fear, shall continue to dominate.